House of Paws Hooded Arctic Fox Cat Bed is luxury perfect for winter. Beautifully made to the finest quality and fully machine washable with removable inner cushion. 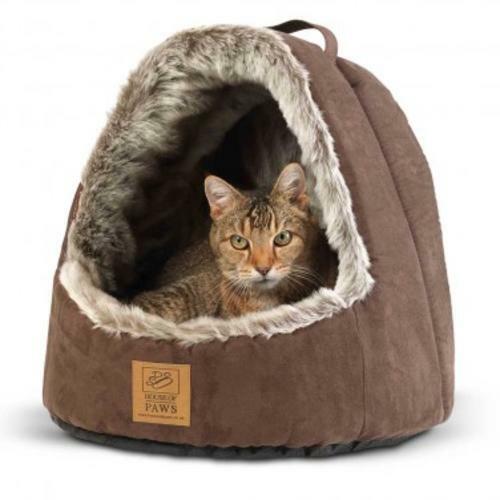 A cosy place for your cat to snuggle up and rest, available in faux fur/brown suede and features a non slip water resistant base.